Say good morning to your loved ones with this delicious gift box! 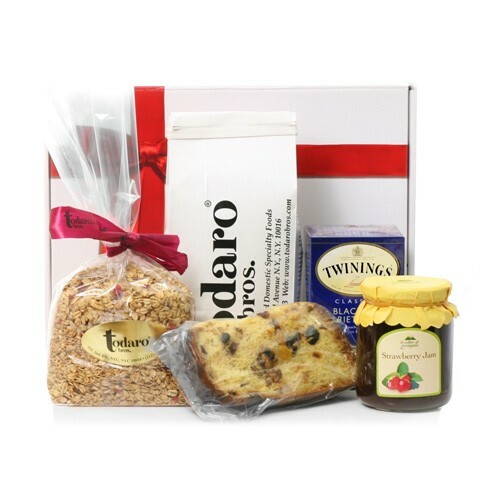 Included are: Todaro Bros Private Blend Coffee, Todaro Bros Signature Granola, a slice of Pannetone, Italian jam, and English tea. Occasionally substitutions of equal value must be made but the theme of the basket is always consistent.